Edwards signaling is supplier and distributor of audible and visual signals including: Bells, Sirens, Chimes, Electronic Signals, Klaxon Signals, Buzzers, Horns, Hazardous Location. Their products are the most reliable in the industries. Edwards signaling catalogue of visual signal include: Strobes, Rotating Beacons, Flashing Beacons, Multi-Mode, Steady-On Beacons, Hazardous Location Visual Signals, Solar Beacons, Stack lights, Polaris Class. Their product are used in many applications and industries, mostly hazardous environment. Edwards is also wholesaler of fire alarm systems such as: Initiating Devices, Fire Alarm, panels, Notification Appliances, Stand Alone Detectors, Voice Evacuation & Notification. Edwards signaling has being operating since 1872 and are mostly known for their assistance products such as: Call for Assistance Kits, Hotel Room Annunicator, Push Buttons, Horn/Strobe, Buzzer/Strobe, Pull Cord , witches, Wall Stations, Dome Stations. We have huge selection of Edwards signaling water heater to choose from. 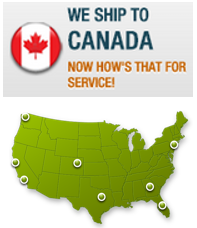 Shop with mdwindustrialsupply.com for your need of Edwards signaling product and have your item delivered to your dock in couple of days with most of product shipping free with no sale taxes. We are pleased to offer Edwards signaling their innovative, quality products.